When H.H. Bhaktaraj Maharaj was terminally ill, Dr. Athavale said to Him, "Instead of feeling that I should stay with You during Your illness and serve You, I get thoughts about writing Holy texts". Upon this, H.H. Bhaktaraj Maharaj replied, "Your thoughts about writing Holy texts are correct. That is a Divine mission. Anyone can serve this body". With the blessings of H.H. Bhaktaraj Maharaj, this mission of writing Holy texts by Dr. Athavale is increasing expon- entially day by day. These Holy texts teach Spirituality as per the present time Dr. Jayant Balaji Athavale in a scientific language. 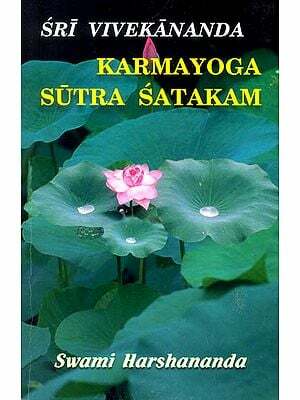 Due to God's grace and Sankalp-shakti of Dr. Athavale, some seekers of Sanatan are receiving Divine Knowledge from the subtle - this is the unique feature of these Holy-texts. Dr. Athavale's guidance and research on God-realisation through various art forms and subjects such as subtle regions, mission of demoniacal energies and guidance for protecting humanity from them is taking place incessantly. Karma is the essence of human life. 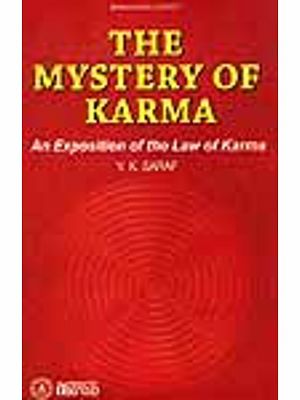 Knowing the importance and peculiarities of karma changes our attitude towards karma and we get exposed to a new dimension to perform it. 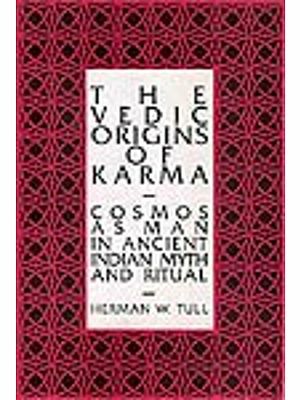 With this perspective, various aspects of karma such as the importance of karma, the importance of factors necessary for success of karma, maintaining uninterrupted flow of karma, mind being the originator of karma (which takes place through the medium of mind, speech and body), birth of mankind being dependent on karma of past births etc., have been elaborated in this text. 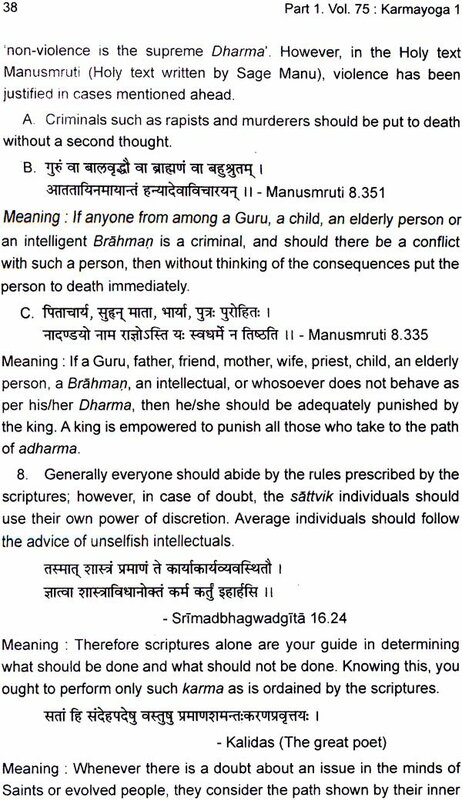 Information on vihit (Prescribed) and nishiddha (Prohibited) karma, nitya (Day-to-day) and naimittik (Occasional) karma, karma as per the class system, swadharma-karma (Karma as per an individual's duty according to the system of class), setivik (Sattva-predominant), rajasik (Raja-predominant) and tamasik (Tama-predominant) karma etc., besides resulting in the study of various aspects of karma, will also bring to notice their effect on life . 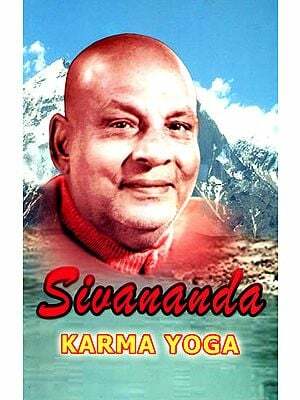 When compared with Dnyanyoga (path of Knowledge) and Bhaktiyoga (Path of Devotion), Karmayoga is associated more with practical life. We pray at the Holy feet of Sri Guru that by practising Karmayoga, let the desire to evolve spiritually develop in the seekers.